The Sidi Cobra Motorcycle Boots are part of the latest Sidi collection. 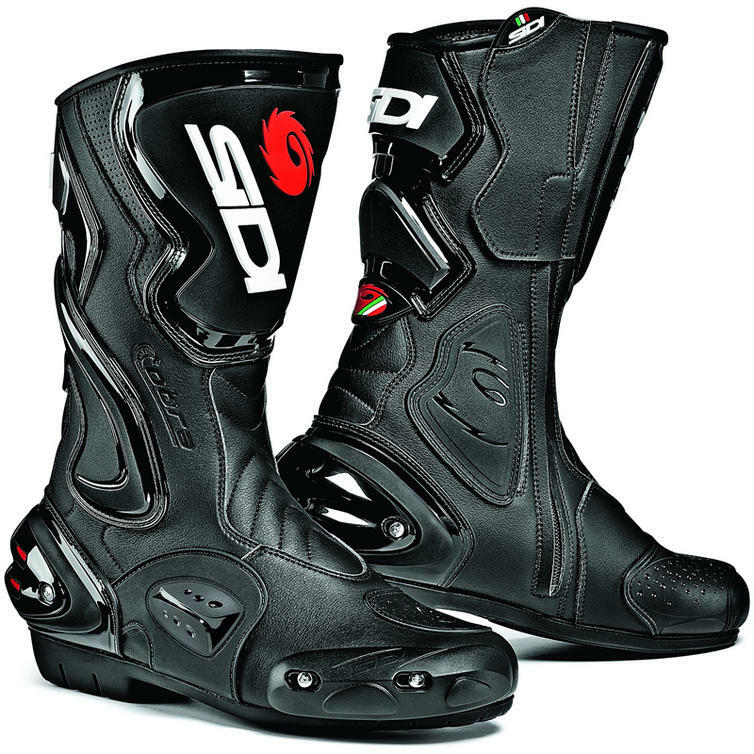 A sports boot by design, the Sidi Cobra has what it takes to excel on the race track. 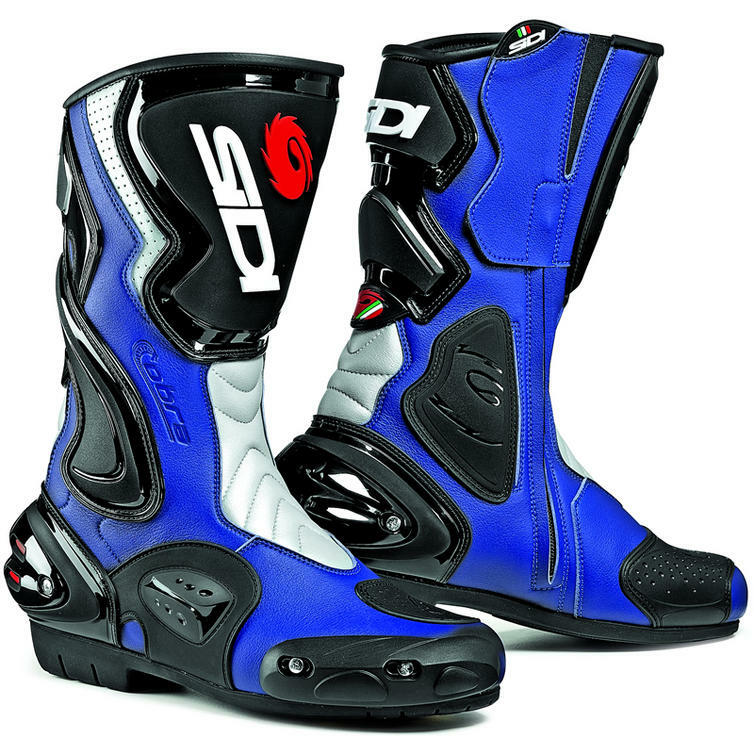 These motorbike boots are substantially armoured and equipped with Sidi's Vertebra system that gives additional protection to the back part of the calf and allows enhanced performance. 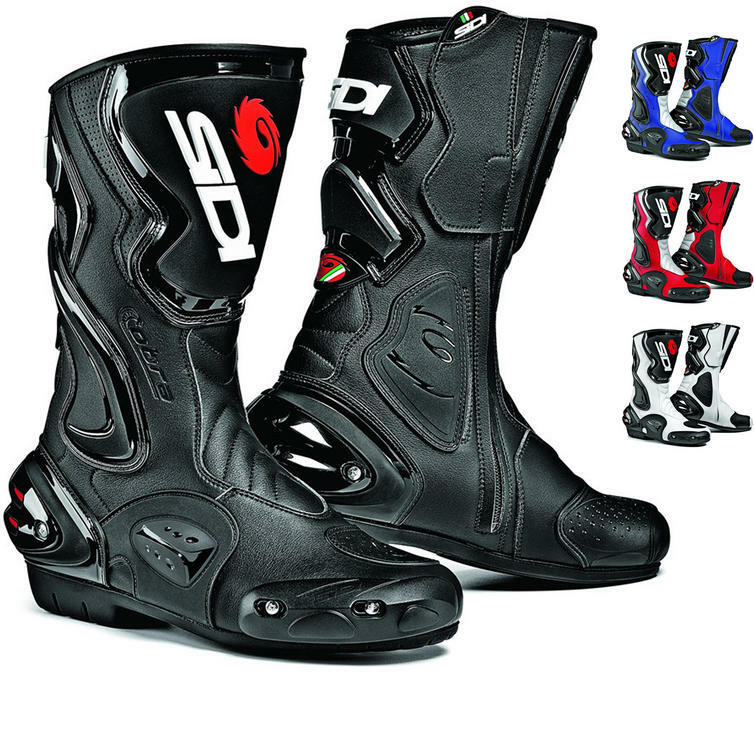 The Sidi Cobra boots also feature a replaceable toe slider for aggressive cornering, while the upper is made from a new generation, lightweight material known as Technomicro. If you don't feel reassured already, then you should know that these boots are CE approved. View all Sidi Sport Motorcycle Boots. 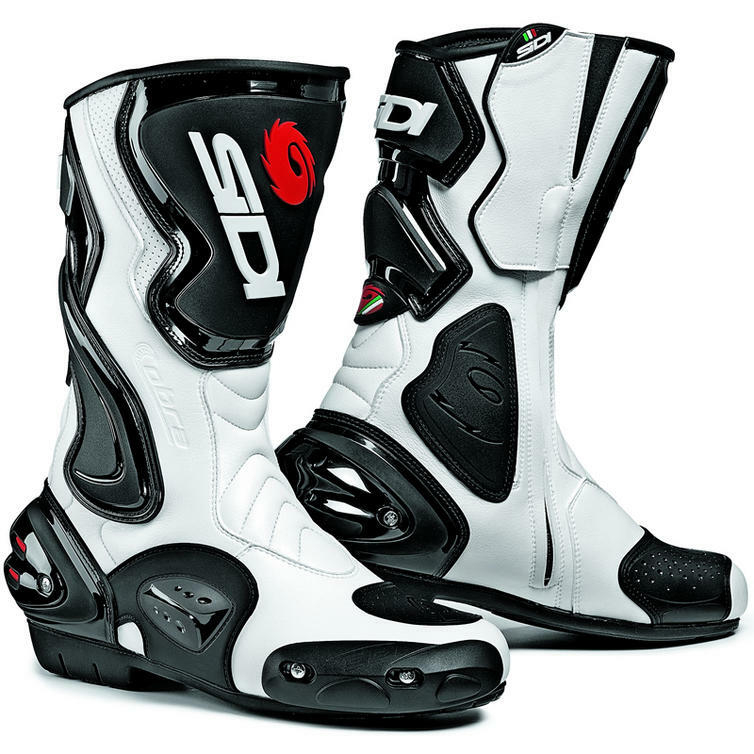 View all Racing Motorcycle Boots.